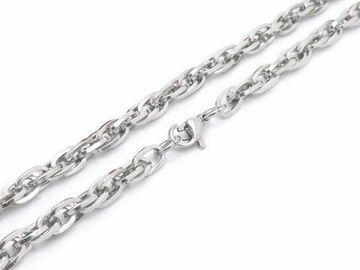 This chain is silver color plated with lobster claw clasp elliptical link. The Chain is handmade and hand-polish. Any size to your request. We accept small trial orders.